A spread of Mapo Mushrooms, Chef Dumplings, Szechuan Chicken Wings and the Smokey Oasis spread from the restaurant’s raw bar. Photos by Collin Richie. Walking into Soji feels like being transported to a more cosmopolitan city. The space manages to be hip yet laid-back. Bright neon signs alight the walls throughout; seating around the raw bar provides dinner and a show; and on many nights there’s a DJ spinning tunes in the bar. Should you be lucky enough to score one of the scant parking spots in Soji’s tiny lot, you are in for a treat. While the restaurant has been introducing Baton Rouge to a variety of delicious ramen and noodle bowls, our table was looking for some shareable plates during our visit. Ordering from the raw bar, we went with the gorgeously plated Smokey Oasis featuring smoked yellowtail and smoked salmon. My first bite was of the salmon: The smoke smacked my taste buds in the best way possible. The yellowtail was more tender but no less smokey. This was a refreshing and pungent start to our meal, punctuated by ponzu with a scattering of grape tomatoes, avocado and mango with a hint of feta. Chef/owner Ryan André and proprietor Chase Lyons opened Soji in July 2018. A word of warning: Only order the enormous bowl of Szechuan Chicken Wings if you have plenty of friends to share with. I never believed I would enjoy chicken wings so much, but these were sweet, tender and crunchy. They were addictive. For a more demure option for an appetizer, choose the Yakitori. We went with a three-skewer option of chicken, tuna and duck. A traditional Japanese method of skewering meat on bamboo and grilling over charcoal, this mini meat fest was tender, flavorful and slightly smokey—perfect for a small shareable plate or individual starter. Ah, the dumplings. 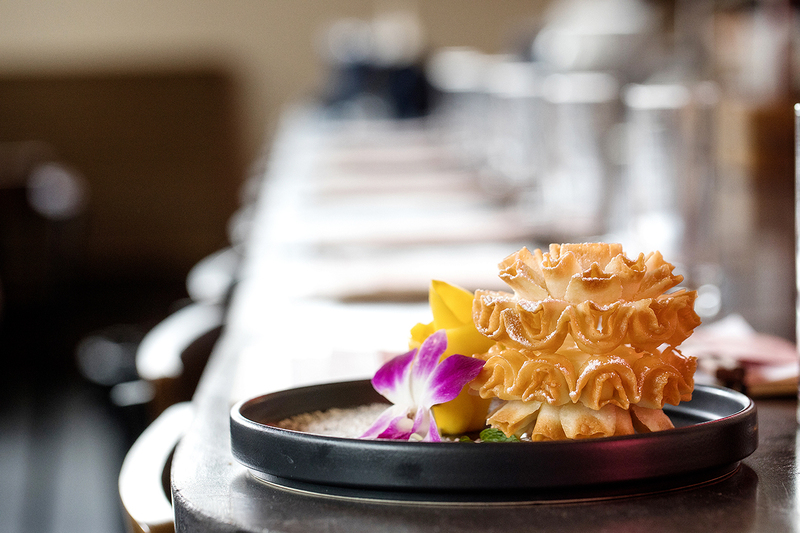 Each time we’ve visited, we’ve made the Chef Dumplings our staple. Tonight was no different—every bite brought immense joy. The morsels, filled with wagyu beef on our visit, were swimming in a delectable salty/spicy dark soy-based sauce with a heat that pleasantly lingered. Each doughy wonder was topped with crisp microgreens that gave textural contrast. The Mapo Mushrooms were a life-changing experience. Seriously, I thought I saw the meaning of the universe with this entree. A surprisingly rich mix of fermented black beans with local fresh lion’s mane mushrooms made this dish delectable. If I can find the slightest fault—and I’m reaching—the fried rice could be a bit more sticky to help hold every bite together. It’s the only vegan menu item currently available at Soji, but I’ve been told that’s soon to change. The beautifully constructed Thai Coconut Cookie is filled with a coconut Chantilly cream. Only one dessert was available during our visit, but it was all that we needed. The Thai Coconut Cookie is tough to describe but a delight to devour. Imagine an extra-crispy fried funnel cake-like exterior, shaped like an intricate, delicate lotus flower, then filled with a coconut Chantilly cream. Slices of fresh mango were a lovely garnish, although they added nothing to this already utterly unique stunner. Soji is smart and trendsetting, from the open-air entrance to the stylish clipboard menu to the pink neon signs. The sophisticated yet relaxed vibe is thankfully devoid of a better-than-thou attitude. Rather, it’s staffed with friendly and knowledgeable bartenders and servers who can answer questions and help you navigate to a perfect dining experience. With a wide variety of Asian-influenced flavors and textures, there is a taste sensation for just about any palate. 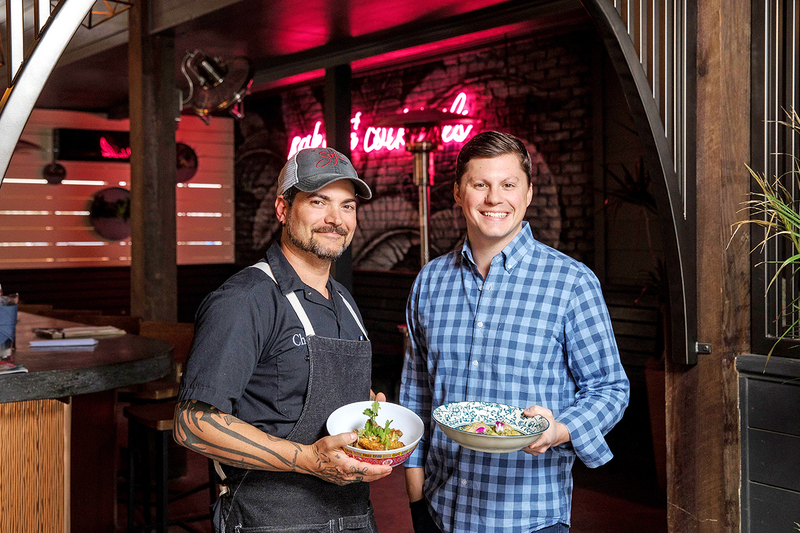 The basics: Chef/owner Ryan André and proprietor Chase Lyons connected during their City Pork days, and ventured off together to open this insanely popular Asian spot on Government Street in July 2018. 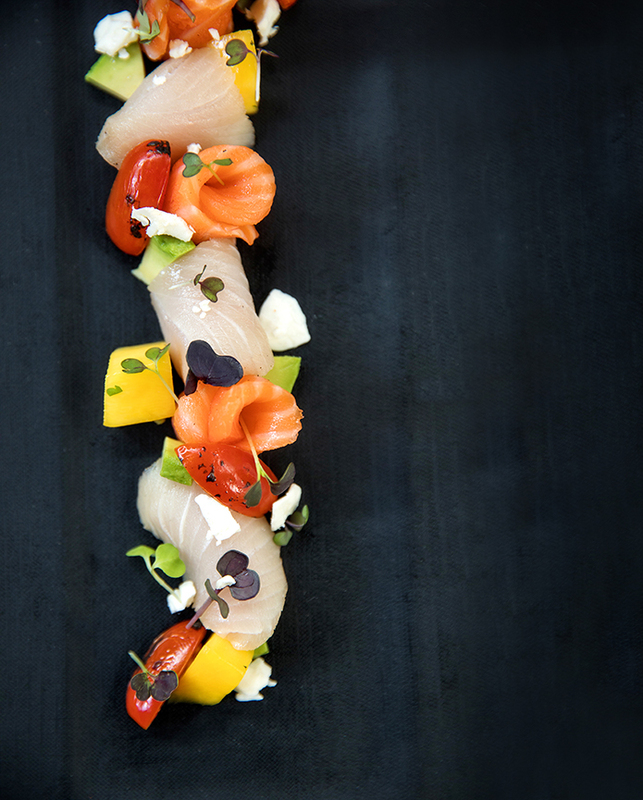 An adventurous cocktail menu coupled with the culinary experiences from the raw bar to the ramen options make this restaurant a new favorite. 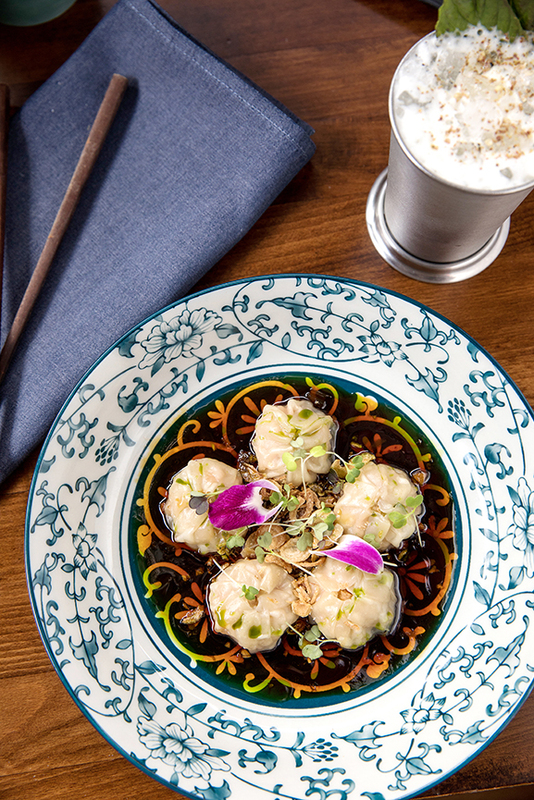 What’s a must: The addictive Szechuan Chicken Wings and Chef Dumplings to start; the entree of Mapo Mushrooms for a tasty vegan option of local funghi and fermented black beans; and the Thai Coconut Cookie for a gorgeous dessert finish.